Volvo's first petrol plug-in hybrid - the XC90 T8 Twin Engine - has qualified for the UK Plug-in Car Grant (PICG) scheme. That means the new XC90 is now available with an on-road price of £54,955 including the PICG. The Plug in Car Grant has a designed criteria to encourage manufactures to decrease the level of outputted CO2 exhaust emissions. To achieve this, hybrid vehicles must emit less than 75g/km, a minimal travelling range of 10 miles and must reach a speed of at least 60mph. Built on Volvo's SPA - Scalable Product Architecture - the platform is designed to incorporate electrification without encroaching on interior space. With the necessary battery pack concealed in the centre console, the Drive-E powertrain, from its initial concept, was designed to include electrification, with the new XC90 utilising both a 320hp petrol engine and 87hp electric motor. With a combined output of 407hp, this 7-seat SUV emits a low figure of 49g/km of CO2, at the same time being able to go from stand still to 60mph 5.3 seconds. 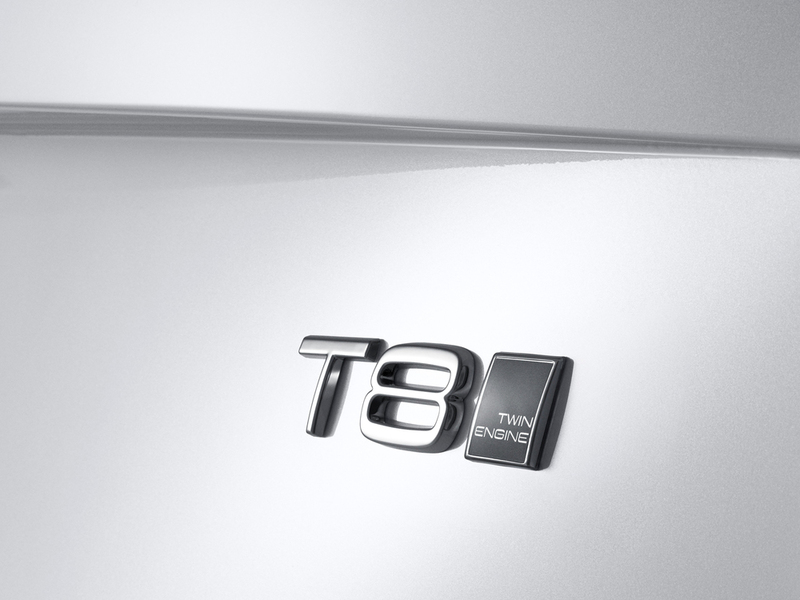 The T8 Twin engine allows the driver to choose multiple drive modes: Pure - allows drivers to use electric energy for up to 28 miles with zero exhaust emissions. Hybrid - uses a combination of the electrical and petrol motors to achieve reduced CO2 exhaust emissions and Power - utilises the full power from both the petrol and electric motors allowing the driver to use the full 407hp available. Companies choosing the XC90 T8 Twin Engine can benefit by writing down as much as 100 per cent of the cost against their income tax liability. Driver who choose the XC90 T8 Momentum pay as little as £99.83 BIK a month (40 per cent tax payer). The Volvo XC90 T8 is on sale now and available in three trim levels: Momentum, R-Design and Inscription.